We received complaints from viewers who felt the panel had a right wing bias. 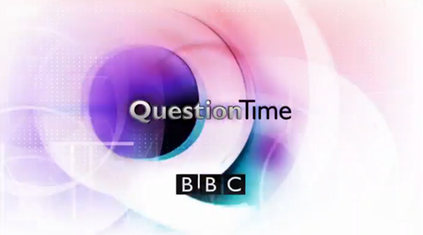 Over the course of a series Question Time aims to achieve balance and hear from a range of voices. Each programme usually consists of one senior politician from both the Labour and Conservative party, as well as representatives from other political parties. The rest of the panel is made of political commentators, journalists, and other public figures that add a different perspective and represent a range of viewpoints across the series. We also aim to ensure that each episode has a divergent and broad range of views from the panel on the likely topics that our audience wish to raise. David Dimbleby moderates the debate to ensure panellists are given the opportunity to make their views known in a fair way. It makes for an engaging debate and ensures that views are challenged and tested, as was the case with this edition of the programme. With the exception of the discussion on the merits or otherwise of arming UK police forces, where there was broad agreement from the panel that this was not appropriate in the UK, the other topics on Europe, Housing and Junior Doctors had a cross section of opinions across the panel. We hope this goes some way to explaining our thinking on how we put the programme together and can assure you that our intention is always to bring our audiences a good spectrum of contested views and opinions. Thanks to Sharon Gathercole for the pic. This entry was posted in Uncategorized and tagged BBC, complaints, right wing bias, Tories. Bookmark the permalink. Oi! they are both Men! What’s up with that?! ?